Summary: Teens who take a daytime nap have better attention, nonverbal reasoning and spatial memory skills than their peers who do not nap, researchers report. The study’s findings suggest an association between habitual midday napping and neurocognitive function in early adolescents — especially in China, where midday napping is a cultural practice. NeuroscienceNews.com image is credited to the University of Delaware. Funding: This study is supported by the Office of Nursing Research Award from the University of Pennsylvania, School of Nursing. The parent study (Jintan Child Cohort Study) is supported by the U.S. National Institutes of Health (NIH) and National Institute of Environment Health Sciences (NIEHS, R01-ES018858, K02-ES019878, K01-ES015877, and P30-ES013508); and by the Jintan City government as well as the Jintan Hospital, China. Image Source: NeuroscienceNews.com image is credited to the University of Delaware. Original Research: Abstract for “The Relationship Between Midday Napping And Neurocognitive Function in Early Adolescents” by Xiaopeng Ji, Junxin Li, & Jianghong Liu in Behavioral Sleep Medicine. Published April 24 2018. University of Delaware “Napping and Teenage Learning.” NeuroscienceNews. NeuroscienceNews, 24 April 2018. 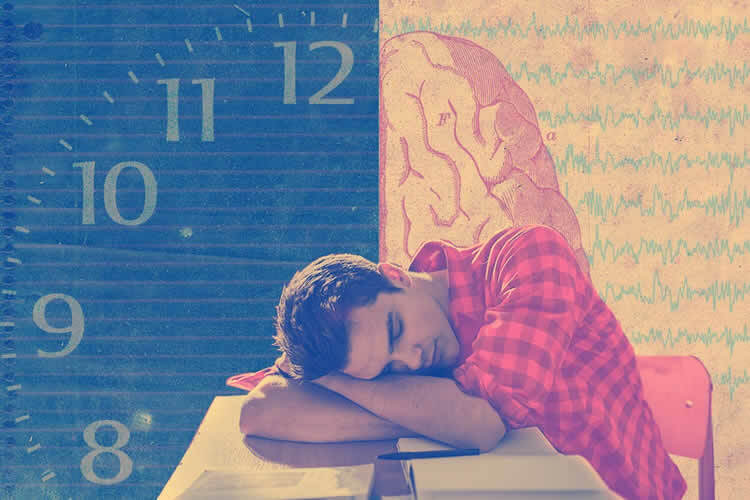 University of Delaware “Napping and Teenage Learning.” http://neurosciencenews.com/napping-teen-learning-8866/ (accessed April 24, 2018). Objective/Background: The impact of midday napping on neurocognitive function in adolescents has not been well established. This study aimed to investigate the relationship between self-reported midday-napping behaviors and neurocognitive function in early adolescents. Participants: The sample was comprised of 363 early adolescents (12.00 ± 0.38 years old) from Jintan, China. Methods: Midday napping, nighttime sleep duration, and sleep quality were measured by self-reported questionnaires. Neurocognitive function was measured by the Penn Computerized Neurocognitive Battery (accuracy and reaction times). Generalized linear regression was used to analyze the relationships. Results: Sixty-four percent of our sample took more than 3 naps per week, and 70.11% reported nap durations of over 30 min. Participants with higher frequencies or longer durations of midday napping reported significantly better nighttime sleep quality (p < 0.05). Adjusted models showed that frequent nappers (5–7d/week) were significantly associated with heightened accuracy on tasks that measured sustained attention and nonverbal reasoning and faster reaction times on spatial memory compared with other frequency groups (ps < 0.05). For napping duration subgroups, early adolescents who took naps of any length were estimated to have faster reaction speeds on the sustained attention task compared with participants who never napped (ps < 0.05). However, only nappers with a moderate duration (31–60 min) tended to achieve both faster speeds (β = −38.28, p = 0.02) and better accuracy (β = 3.90, p = 0.04) on the sustained attention task. Conclusions: Our findings suggest that there is an association between habitual midday napping and neurocognitive function in early adolescents, especially in China, where midday napping is a cultural practice. Feel free to share this University of Delaware.